Speculations sparked with the Japanese Prime Minster Shinzo Abe’s visit to China , which sought Chinese cooperation for third country development works – a volte-face to China, while tying a strong knot with India for strategic partnership to maintain peace in Indo-Pacific region during the visit of Indian Prime Minister Narendra Modi to Japan in tandem, given the fact that China is long –term political rival to both countries. Concerns were raised about the impact on India- Japan relations, which has a long way to fulfill their role in Indo-Pacific region. Nevertheless, Indian Foreign Secretary was quick to rule out any adverse impact on the relation with Japan. Instead, he was hopeful for a favourable impact of the Sino-Japan deal, believing that this would play an important role in spearheading India- Japan strategic partnership to sustain peace and tranquility in Indio – Pacific regime. He asserted that the core point of Modi’s visit to Japan was to establish a close strategic partnership with Japan by deepening security and defence cooperation and play a prime role in maintaining peace in Indo-Pacific region. Reportedly, Saudi Arabia has finally agreed to offer Pakistan a US$6 billion support package to overcome its prevailing precarious current account deficit crisis. According to the details the Kingdom will transfer US$3 billion directly to Pakistan, while another one-year deferred payment facility of up to US$3 billion for oil import will be made available. This arrangement will be in place for three years, which will be reviewed thereafter. During the election campaign and even after taking oath as Prime Minister of Pakistan, Imran khan has been expressing reluctance in approaching International Monetary Fund (IMF). Ever since coming to power, Khan has been trying to solicit financial support from friendly countries including China, Saudi Arabia and the United Arab Emirates, but his efforts hardly yielded any result. From the day one, Finance Minister Asad Umar has been saying that Pakistan needs more than US$12 billion to keep imports and foreign debt servicing at sustainable level. In 2001, Russia backed the U.S. intervention in Afghanistan, which led to the collapse of the Taliban regime and the creation of a new government. Since then, Russia has supported the new system and has made contributions to reconstruction efforts in the country, including training the Afghan security forces, supplying military equipment, supporting joint counternarcotics activities with the United States, and providing some level of development aid. 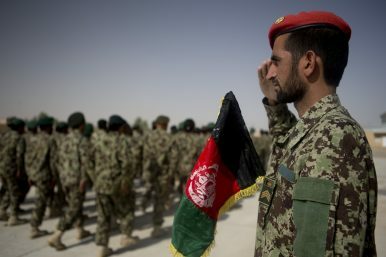 The post-2001 phase of the conflict in Afghanistan has lingered for more than 17 years now, and the Taliban have re-emerged as a force that contest more than half of Afghan territory. With the war at a stalemate, Afghanistan, the United States, and regional powers are trying to seek a political solution. Russia, too, is trying to do its part by reaching out to the Taliban to help kickstart a peace process, however, there is confusion over Moscow’s overtures to the Taliban and the end goal of its efforts. On Oct 18, 2018, General Abdul Raziq, the Provincial Police Chief of Kandahar Province, along with the Provincial Intelligence Chief, Gen Momin, was killed in an insider attack. The Taliban quickly claimed responsibility for the attack, stating that it was an, “attack carried [out] by an infiltrator.” The Taliban’s claim of responsibility did not surprise many in Afghanistan since the attack bore the hallmark brutality and insider betrayal so common with Taliban attacks. What surprised many Afghans was the simultaneous conspiracy theory that circled in social media mere hours after attack. 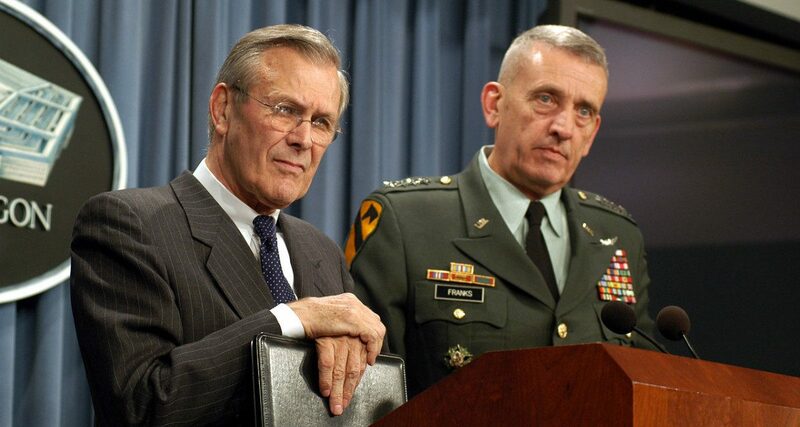 The narrative of the conspiracy was that, “the attack was ordered by Gen. Austin Scott Miller the Resolute Support Mission Commander in Afghanistan and carried by his bodyguards.” This surprising counter claim gained such quick momentum that it forced Chief Executive of Afghanistan, Dr. Abdullah Abdullah, to take an immediate stand against it. What have we learned from the conspiracy theory, and more importantly, from the social media prowess that buoyed its prevalence? I attended the demonstration at Liberty Plaza on Tuesday. This was supposed to be against political manoeuvrings of the President. The assembled people were not all in support of the Prime Minister. Most of them were those who campaigned to elect the President and the Prime Minister resulting in the overthrow of the previous Mahinda regime. Some of them were critical of Prime Minister Ranil Wickramasinghe.. The charges levelled against Ranil were many. One of them was that his government did not deliver what was promised. But they have come only register their protest against the unconstitutional methods adapted to put Mahinda Rajapakse in power. 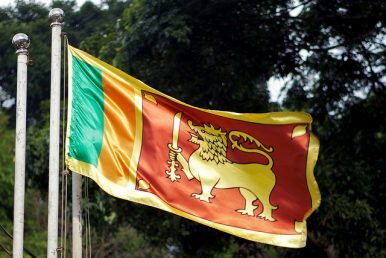 Sri Lanka is experiencing a profound crisis. President Maithripala Sirisena has appointed Mahinda Rajapaksa as prime minister. The coalition government is a thing of the past. Ranil Wickremesinghe remains the legitimate prime minister and it’s not clear what happens next. Sirisena has suspended parliament and it’s not clear when the legislative body will reconvene. It’s confusing because there’s been a lot of conflicting reporting and misinformation about changing the date. Initially, Sirisena had suspended parliament until November 16. Thursday, reports noted that parliament would be reconvened on November 5. November 7 and then November 16 were mentioned Friday. It’s hard to tell if November 16 will be a firm date or not. It’s also worth noting that the speaker, Karu Jayasuriya, could reconvene parliament before then, but we aren’t there yet, unfortunately. The U.S. government’s across-the-board hardening toward China emerged somewhat erratically over the past year but has shown remarkable momentum in recent months. 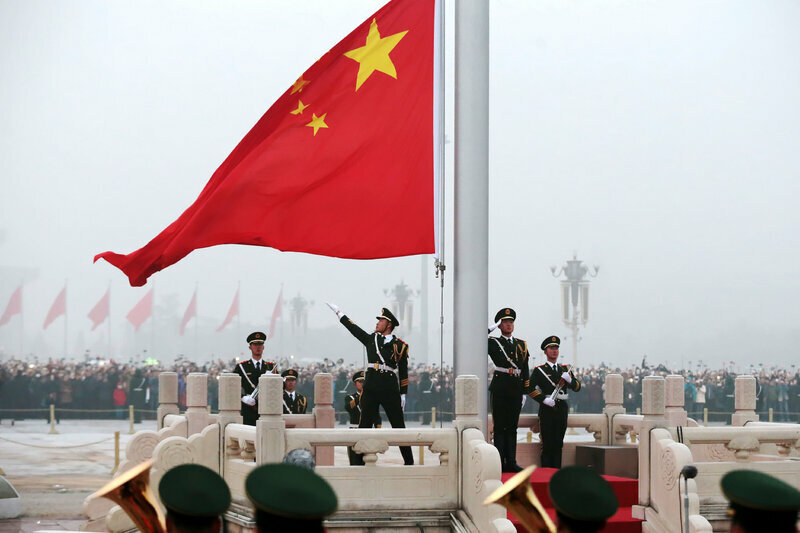 This report offers a perspective from Washington for the use of those many observers in America and abroad seeking information and early analysis of the importance of the U.S. government shifts toward acute rivalry with China. U.S.-China relations experienced remarkable ups and downs following the collapse of the Nixon-Mao understanding allowing the two powers, despite their many profound differences, to cooperate together against the advancing Soviet Union. The end of the Cold War, the Tiananmen crackdown, and the demise of the USSR shattered the previous U.S.-China accord. A stasis of pragmatically managing differences amid mutually beneficial engagements prevailed in the first decade of this millennium, but it gradually ended as China became ever more assertive in challenging the previous Obama government, eliciting limited responses that did not dissuade further Chinese advances at U.S. expense. We are in a massive, undeclared espionage battle with China, by China’s choice. The traditional remedies to manage espionage will not work in this battle. The response most likely to be effective requires new partnerships with allies such as German, Japan, and Canada, something this Administration can find difficult to do. 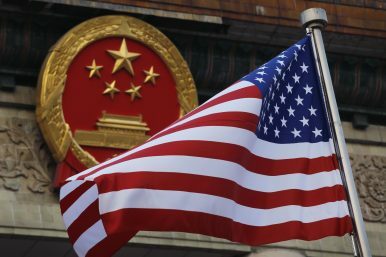 Chinese espionage against the United States has reached unprecedented levels, greater than anything seen in the Cold War. China, despite loud claims to the contrary in its government-controlled media, is still reliant on Western technology. Stealing jet engine technology is a long-standing goal for the Chinese, part of a larger effort to use the stolen intellectual property, massive government subsidies, and heavy-handed trade tactics to launch a domestic airline industry to challenge Western companies. These tactics have been used in many other industries—from solar power to high-speed trains—and prompted the recent ban on the Chinese company Fujian Jinhua for the likely theft of U.S. semiconductor technology. Without fanfare or major elaboration, Japanese Prime Minister Shinzo Abe has arrived in Beijing for the first formal bilateral visit by a Japanese leader to China in nearly seven years. Though nominally intended to commemorate the 40th anniversary of the China-Japan Treaty of Peace and Friendship, the visit culminates a quiet process of mutual accommodation over the past year. The process reflects realism and self-interest on both sides. Throughout the leadership tenures of Prime Minister Abe and Chinese President Xi Jinping, political-military rivalry, enduring historical grievances, and (more recently) competing conceptions of Asian infrastructural development have dominated relations between the continent’s two most important powers. But both leaders exhibit growing disquiet about larger international trends that could seriously harm the interests of both states. On Nov. 11, 1861, the Qing dynasty opened a new agency to deal with foreigners. A target for the West's "gunboat diplomacy," the last imperial Chinese government had been forced to recognize a wider world and, with little leverage, it entered into a series of unequal treaties that crippled its economy and left it only more vulnerable. Still, Chinese officials believed the crisis would pass. It was for this reason that this new body, a quasi-ministry of foreign affairs, was housed in a small, shabby building that had previously served as the Department of Iron Coins. There was no need to construct something grander or more impressive; after all, this new office would be only temporary, until these foreigners and the world they represented lost interest in China. The automation of processes and procedures with cutting-edge technologies, such as advanced robotics and artificial intelligence (AI), has the potential to fundamentally change the global economy. From manufacturing to customer service, automation is primed to increase overall economic productivity, but its emergence will have a seismic impact on the global labor force. As China looks to sustain economic growth, how it harnesses automation will be crucial to its long-term economic competitiveness. American values and interests are under threat in the Middle East. A murderous dictatorship has underwritten terrorism and continues to promote Islamic radicalism around the globe. The regime suppresses political dissent, persecutes non-Muslim faiths at home, and is pursuing military hegemony abroad. Despite a long and sometimes checkered relationship with the United States, this government threatens to undermine long-term Washington objectives. No, it’s not Iran. The offending regime is the Kingdom of Saudi Arabia. The kingdom’s American supporters laud the absolute monarchy as a long and valued ally. Former Secretary of State James Baker recently wrote: “Saudi Arabia has been an important strategic partner of the United States since President Franklin Roosevelt met with King Ibn Saud, the founder of the Saudi state, at the close of World War II.” However, from the very beginning the Saudi royals have been a profound embarrassment to the United States. “The FBI assesses the cyberterrorism threat to the U.S. to be rapidly expanding,” said one law-enforcement official, testifying before Congress. “Terrorist groups will either develop or hire hackers, particularly for the purpose of complementing large physical attacks with cyber attacks.” That assessment was made nearly 15 years ago. In the meantime, a generation of tech-savvy jihadists has exploited the internet to attract recruits, share bomb-making expertise, and incite violence. Yet they haven’t managed to pull off the devastating cyberattacks that experts have long feared. With just days left before Americans go to the polls for midterm elections, it is worth considering: Why not? The United States’ track record in post–World War II major conflicts has been less than stellar. In his 2016 article, “Why Can’t America Win its Wars,” Peter Mansoor points out that America has only three outright victories in its last eight conflicts. Mansoor is not alone; many scholars have written about the recent failures of America to achieve decisive victory. Attribution of these failures is widespread: poor intelligence; an imbalance of ends, ways, and means; policy-strategy mismatches; improper use of instruments of national power; deficient host-nation commitment; and a lack of popular support, just to name a few. Arguably, however, the most significant driver of American failure is the too-frequent commitment of military forces without fully understanding the nature of the environment. It was an ordinary Tuesday afternoon (Oct. 23) for Harish BV. The co-founder of the Indian virtual currency exchange, Unocoin, was fussing over the company’s new kiosk machine at Kemp Fort Mall in the southern city of Bengaluru. The booth, installed the previous week, was touted as the country’s first cryptocurrency ATM. The plan was to allow Unocoin customers to withdraw or deposit money, which could then be used to sell or buy cryptocurrencies from its website or mobile app. The machine was not yet operational that Tuesday and Harish wanted to ensure the systems were flawless before customers were allowed to transact on it. The operational upgrades, which Harish had been supervising that afternoon, were in their final leg. But things began to go awry when a troop of police officials marched into the mall. They interrupted the operations at the Unocoin kiosk and picked up Harish for questioning. Later, he was sent to judicial custody on charges that the Unocoin kiosk lacked requisite approvals. The firm was also accused of violating a few norms. Is Europe returning to the horrors of the 1930s? In an assessment typical of the moment, Max Holleran writes in the New Republic that "in the past ten years, new right-wing political movements have brought together coalitions of Neo-Nazis with mainstream free-market conservatives, normalizing political ideologies that in the past rightly caused alarm." He sees this trend creating a surge in "xenophobic populism." Writing in Politico, Katy O'Donnell agrees: "Nationalist parties now have a toehold everywhere from Italy to Finland, raising fears the continent is backpedaling toward the kinds of policies that led to catastrophe in the first half of the 20th century." Jewish leaders like Menachem Margolin, head of the European Jewish Association, sense "a very real threat from populist movements across Europe." Germany and Austria, the birthplaces of National Socialism, naturally arouse the most concern, especially after the elections in 2017, when the Alternative for Germany (AfD) won 13 percent of the vote and the Freedom Party of Austria (FPÖ) won 26 percent. Felix Klein, Germany's commissioner to combat anti-Semitism, says that the AfD "helps make anti-Semitism presentable again." Oskar Deutsch, president of the Jewish Communities of Austria, argues that the FPÖ "has never distanced itself" from its Nazi past. In recent years, Russia has been going through quite challenging times. Economic slowdown, a collapse in oil prices and Western sanctions which have deprived Moscow of cheap money and technologies—all of these have pushed the Kremlin’s strategists to concentrate on import substitution policy, the reorganization of import supply chains, decreasing dependency on oil exports and pushing for the country’s pivot towards Asia. In Moscow’s view, Asia is a rapidly growing alternative to the current Western-centric system of international economic and political relations. Moreover, the Kremlin sees that this system does not reflect today’s economic and political realities. This is why Russia started to invest a great deal of time and effort in building and developing lasting relations based on mutual respect and interests with partners in Asia. Next time you go to Latvia you might be get hassled by a border guard who isn’t even human. The European Union is funding a new pilot project to deploy artificially intelligent border guards at travel checkpoints in three countries to determine whether passengers are telling the truth about their identities and activities. The system, dubbed iBorderCtrl, works like this: an avatar asks the traveler a series of simple questions like name, dates of travel, etc. The AI software looks for subtle symptoms of stress as the interviewee answers. If enough indicators are present, the system will refer the traveler to a human border guard for secondary screening. “It does not make a full automated decision; It provides a risk score,” Keeley Crockett of Manchester Metropolitan University in England explains in this promotional video. The U.S. intelligence community and the Pentagon have quietly agreed on the outlines of an offensive cyberattack that the United States would unleash if Russia electronically interferes with the 2018 midterm election on Nov. 6, according to current and former senior U.S. officials who are familiar with the plan. In preparation for its potential use, U.S. military hackers have been given the go-ahead to gain access to Russian cybersystems that they feel is needed to let the plan unfold quickly, the officials said. The effort constitutes one of the first major cyberbattle plans organized under a new government policy enabling potential offensive operations to proceed more quickly once the parameters have been worked out in advance and agreed among key agencies. 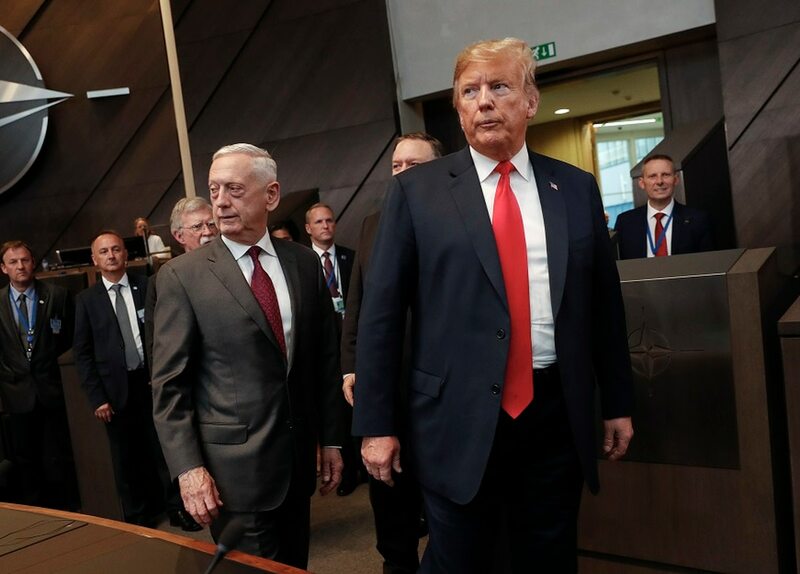 For the past seven decades, the world has been moulded by a strong, transatlantic relationship with the US and EU underwriting the terms of peace, stability and economic prosperity. The success of this order has created its own existential challenge. Its rising beneficiaries in Asia and elsewhere increasingly challenge the validity of these arrangements and the efficacy of rules that have managed global affairs. While the historian John Ikenberry described the liberal world order as a “hub and spoke” model of governance, with the West at its centre, it is now clear that the peripheries of the system are developing wheels and engines of their own. The flurry of cyber strategies from the White House and the Pentagon will require a new set of tools and tactics, government officials and experts said during the CyberCon conference hosted by Fifth Domain Nov. 1. After President Donald Trump and the Pentagon unveiled cyber strategies that promised greater offensive operations earlier this year, the government will increase its attribution of bad actors and need to have greater intelligence collection, the experts and government officials said. The White House cyber strategy’s biggest change is an emphasis on attributing bad actors in cyberspace, Dave Frederick, the chief of strategic counter cyber operations at the National Security Agency told reporters after the event. The White House introduced a new national cybersecurity strategy September 2018, the first governmentwide strategy published in about 15 years. And while there isn’t a lot in the strategy that wasn’t already known by most of government and industry, the strategy is innovative in that it plans for action where previously the focus had been on policy, according to Federal Chief Information Security Officer Grant Schneider. “If you read the national cyber strategy — a lot of the feedback I get from people is there’s not a lot of new. 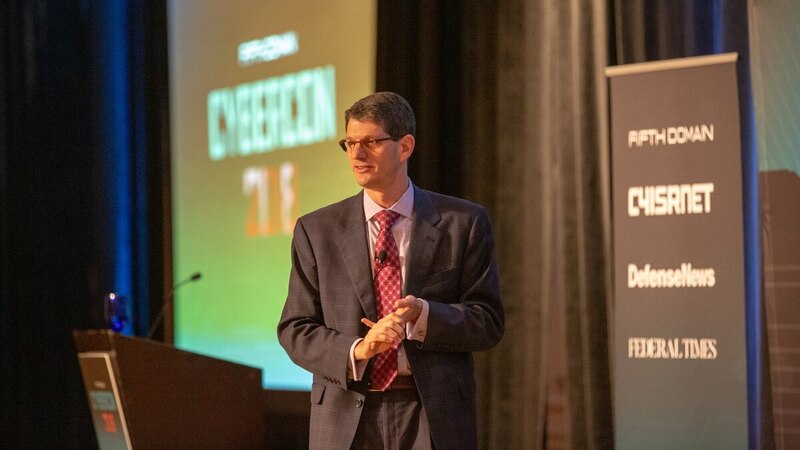 There’s not some new solution to the cyber problem, and that’s why there is a cyber event almost every day during October and lots of days the rest of the year,” said Schneider at the 2018 CyberCon, hosted by Fifth Domain. Although alarmist headlines often announce imminent water wars over scarce resources, the truth is that cooperation over shared waterways, particularly rivers, is historically more common than conflict. In fact, even among bitter enemies, the historical record shows that water conflicts around the world do get resolved, even to the point that international cooperation often increases during droughts. However, common causes of water conflicts remain a concern. Unilateral actions to construct a dam or river diversion in the absence of a treaty or some other protective international mechanism are highly destabilizing to a region, often spurring decades of hostility before cooperation is even pursued. Similarly, as access to irrigation water is threatened, one result can be mass migrations of out-of-work, disgruntled people from the countryside to the cities—invariably a recipe for political instability.